It’s almost that time for the government to start issuing health warnings for a “safe crucifixion”, which means Easter must be coming. In case you’ve never heard of the San Pedro Cutud Lenten Rites Festival, it is a yearly reenactment of the Passion of the Christ in San Pedro, a barangay of San Fernando in Pampanga, Luzon. What makes it so different from similar events across the world is that volunteers are actually crucified, using real nails. An event like this obviously brings up more questions than it does answers. The people that flagellate, and get nailed to crosses are doing it to show their devotion to Christ. But why do thousands of people — and journalists — turn up to observe the spectacle? Again this is where the Cutud Lenten Rites Festival goes even further down the rabbit hole of weird. You would expect an event where there is blood flying everywhere and people being mutilated to have at least a PG13 rating, but no, the festival is fun for all the family. 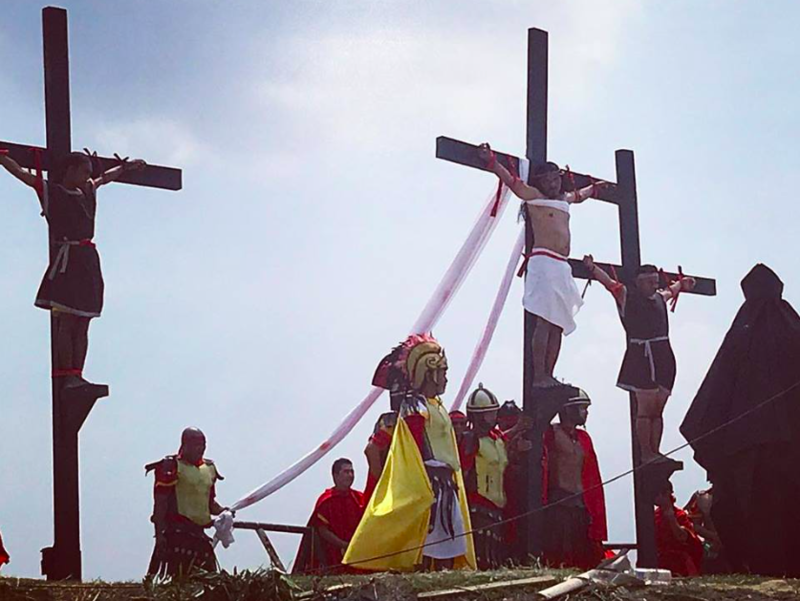 Aside from all the blood and gore, there are ice-cream stands, pop-up restaurants, and even Jesus themed t-shirts to take home as a souvenir of your first crucifixion. Unsurprisingly foreign tour groups have jumped in on this “dark tourism” phenomenon, with one company, Young Pioneer Tours even offering a day trip, complete with media passes. 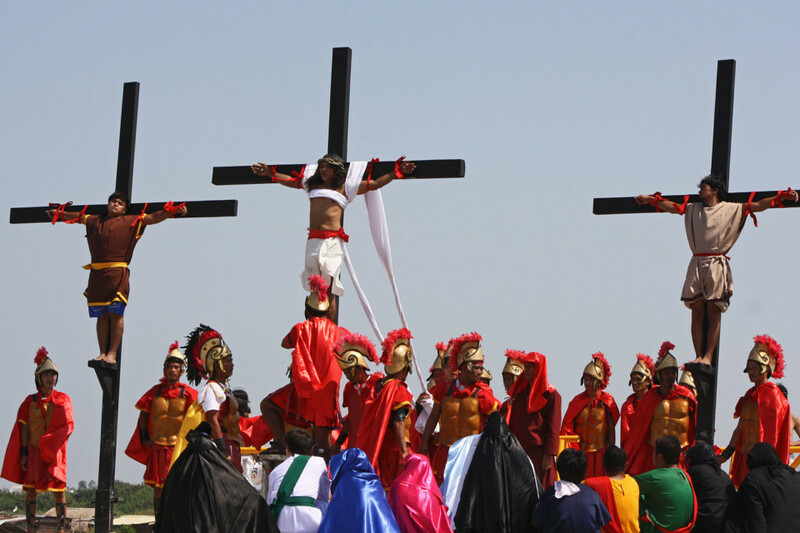 When asked why he felt people wanted to attend a crucifixion, managing-director Gareth Johnson said: “The Cutud Lenten Rites might be a little weird, but you cannot say it’s not unique, and people want to see different things”. The ministry of tourism might not have had tourism to the rites in mind with their “It’s more fun in the Philippines” tagline, but you gotta give the country credit — it’s certainly “more unique in the Philippines”.